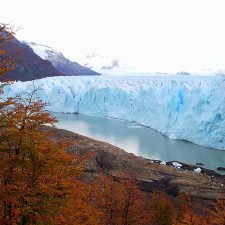 We are at the beginning of September, the winter has ended and the landscape is ochre: bare carob trees paint the mountains a monotone terracotta, where every so often in anticipation of spring, bursts the yellow of a Chañar in blossom. There are also cacti, tall and branched. And as far as the eye can see, the hills outline the Calchaquí Valley, that link, Salta, Tucuman and Catamarca in Northwestern Argentina. We are in Chañar Punco, 2,000 meters above sea level at the southern end of the valley. 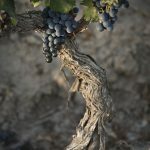 Here, for the past twenty years, an unusual vineyard has been growing: unusual for its size (250 hectares), for its isolated location and its surprising wines, reds that have so far remained in the shadow of the other reds, the Cafayateños, 87km to the North, in the centre of the valley. 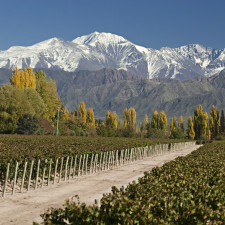 The vineyard, pruned and without buds, copies the undulating geography of the alluvial cones that descend from the hills along about 4 km of barren land. It is dormant, but the swallows flying overhead are the announcement that spring is about to arrive. 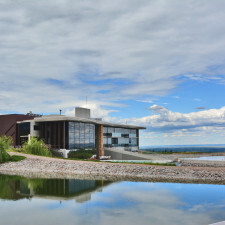 It is a vineyard in a unique setting. So is the Calchaquí Valley, whose terroir, on the wine map is now expanding to the South with the emergence of Chañar Punco, from Bodega El Esteco. 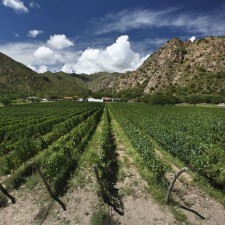 However, since 2000, the valley has also grown northwards between Molinos and Cachi. Here you’ll find the Arenal vineyard or Altura Máxima (Maximum Height), owned by Bodega Colomé, around Payogasta where wine is made with grapes planted at nearly 3,000 m.a.s.l. This vineyard is also unusual: for its size and remoteness. 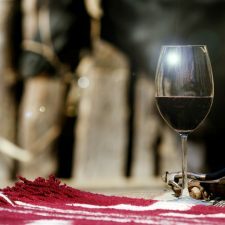 Precisely because of this, as in Chañar Punco, it has spent years in a process of fine tuning, a process that now with its new wines, seems to have reached an ideal point. Between these extremes is Cafayate, at 1,700 m.a.s.l, which functions as the epicentre of the valley. 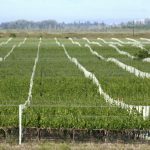 Here the most important vineyards, and the largest and newest wineries are found like Amalaya and Piatelli, side by side with established ones like Etchart and Vasija Secreta, and the trendy El Porvenir and Nanni. This is the renewed setting of the wines of the Northwest. A setting that is moving increasingly higher, away from its centre in search of the chimera of high altitude reds: the iconic wines which, polished by the hard soils and the rustic climate, create diamonds in the rough that makes them so unique to this corner of the world. 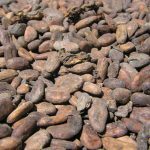 Since 2002 the Calchaquí Valley has seen a slow revolution in its plantations, with its surface area doubling to reach almost 3,500 hectares. It is a silent revolution that, in late winter, looks precisely the opposite: where there is a vineyard, nature is ordered in rows. And the vines climb the slopes, as in Yacochuya, around Cafayate, forming an intricate landscape parallel with different orientations. Like the vineyards of Piatelli or el Socorro from El Esteco, which is in full plantation, the soil studies and gradients make the vine cloths take on surprising shapes. This is not the case in Chañar Punco or Payogasta planted before this scientific revolution focused on soils. But now, following these new patterns, wineries have ordered irrigation systems and harvest barracks. Looking to point out the quality of the reds and spare no expense: to water, and collect it in underground aqueducts, install turbines for the pumps to operate or use the same slopes for pressurised irrigation. Something that is invisible to the naked eye, but which has a lot of engineering behind it to make it possible to plant and develop where otherwise it would be impossible. Malbec, Cabernet Sauvignon and Tannat are the varieties found in this high, bright spot which produces concentrated wines, full of colour. But a decade ago there was a certain rusticity and what the wineries are working towards today is the terroir and their eccentricity to achieve identity in their wines without compromising elegance. 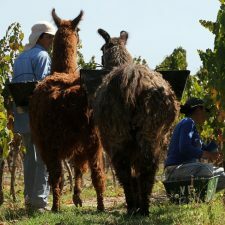 The vineyards in Chañar Punco, for example are divided into parcels, and each year since 2011 a blend is made from the best of Malbec and Cabernet Sauvignon. It’s called El Esteco Chañar Punco and redefines the term high-end in these valleys. 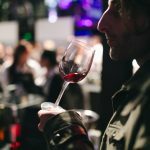 Something similar happens with Lote Especial Pinot Noir, from the Altura Máxima vineyard, whose first commercial vintage has just seen the light. Or what El Porvenir and Piatelli are offering with their reserve reds, elegant with a welcoming palate, perfect to describe the taste intensity of the valley without giving anything away. For lovers of powerful high altitude wines from another time however, these wines retain some of the great jewels of the area. 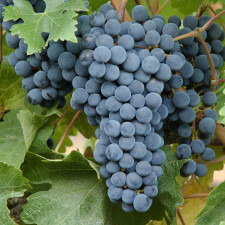 Reds made with a more rugged profile, such as the Yacochuya blends or RD from bodega Tacuil, Domingo Molina Cabernet Sauvignon or Felix Malbec, which offer high-decibel flavours with a slightly rough outline that gives them a unique place in the world of wine. 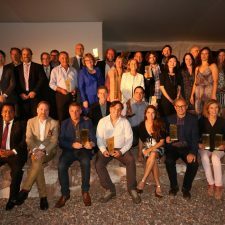 All in all, among the newly refined and the classics of the region, we are only talking about a few wines, but there are also only a handful of wineries working on expanding the Calchaquí universe. So now that the vines are about to sprout, it is worth stopping to take a look around this man made landscape. The metaphor is perfect, while everything here is naturally rough and thorny, there is a place of comfort ready for habitation. 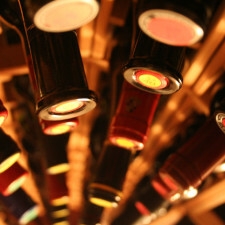 Something that exists in every glass of wine and to achieve this we must go beyond the possible. Now nothing remains but to wait for the next harvest or go ahead and drink the new examples on the market.